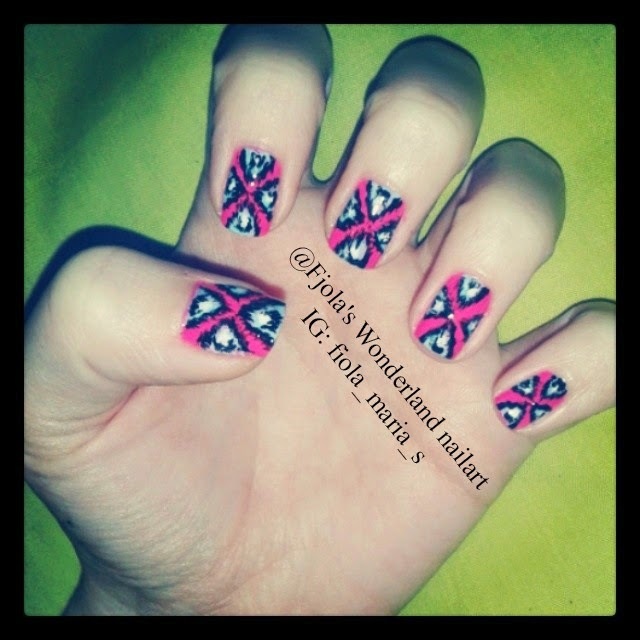 do this nails for a long time,but Idin't know the name of the design. 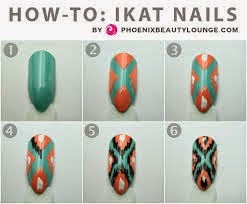 Isearchit a lot and I found out that they called @ikat nail art design.I a step by step phot/tutorial on google on how to recreate this look and I love to share it with you too.The 1st photo is with my nails and the 2nd is the one I found and I use it as a guide for my nail design too.Enjoy loves !! !